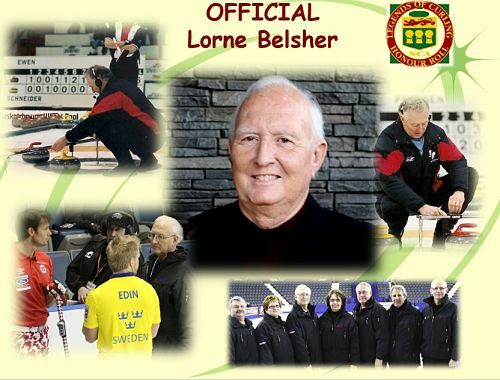 Lorne Belsher started curling with his Dad at the age of 8. They curled in a one sheet natural ice rink in McCord, Saskatchewan. He remembers skipping his first game at the age of 10. During the McCord Annual Bonspiel they would put 4 sheets of ice in the skating rink. He recalls curling in snow suits because it was so cold. Other years it would be so warm the ice would start to melt. 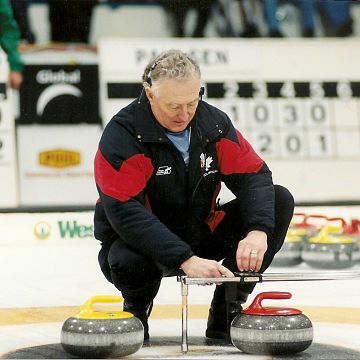 After being an avid curler for many years Lorne became involved with the Saskatchewan Curling Association (SCA) first as a District Coordinator and Assistant Region Director (1990 -2013) and then as Regional Director from 2008 to 2014. During this time Lorne instructed at many Level 1 & 2 Officiating clinics in Saskatchewan giving many volunteers their start into the officiating system. Lorne began officiating in 1987 when he took the Level 1 officiating course and volunteered to work at some Saskatchewan events. A few years later, this led to the SCA sending him to his first Canadian Curling Association (CCA) event, the National Juniors in Leduc, Alberta. This began a career that would last for 25 years. Provincially, Lorne has officiated at many Northern and Southern Men’s playdowns and 18 Provincial Men’s Tankards. He has also officiated at numerous Juniors, Women’s, Seniors and Masters Events throughout Saskatchewan. Nationally, he has been a Head or Supervising Official, 16 Briers, 6 Continental Cups, and 2 Olympic Trials. He has also officiated at many Scotties, Mixed, Juniors, Seniors, and Canada Cups as well as World Men’s and Ladies Events. Lorne especially enjoys interacting with the players, officials, and curling fans at all the events. He cherishes the many friendships he has made throughout the curling world.